November 16, 2011 | This article appeared in the December 5, 2011 edition of The Nation. Despite trying to influence the American public on the pipeline, public relations firm Feverpress did not disclose that it was contracted by the government of Alberta to do so. This editorial by the board of the New York Times Sunday Review should serve as a sobering wake-up call to the insanity of the politics and policies that utterly—and to a great extent, arbitrarily—relegate huge swaths of our population—especially youth of color from low-income families—to the criminal (in)justice system. Inspiring 26-minute documentary, Jesse's Journey, about a grassroots movement in a Seattle high school to halt the misuse of a standardized test. 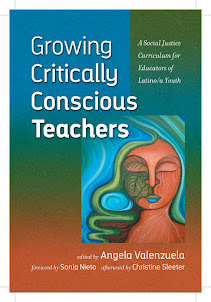 Good for courses addressing the power of grassroots efforts to make positive changes and what the potential costs are to opposition and protest and how to navigate differences in opinions around the struggle. Here’s what the superintendent of Paris ISD is telling parents about this year’s STAAR results –Yikes! Next week, you will be receiving your child’s STAAR/TAKS results for the 2013-2014 school year. I’m writing this letter on behalf of PISD administrators, teachers, staff, and board members. These results should be considered as one of many instruments used to measure your child’s growth, not the end-all of your child’s learning for the year. These assessments do not reflect the quality of teaching or learning in our classrooms. Instead, they reflect a punitive; one size fits all test-driven system. Our students are much more than a once-a-year pencil and bubble sheet test. Your child means immeasurably more than just a number generated in Austin. There is no test that can assess all of what makes each child unique. The state mandated assessments are used by the state to score and rank our campuses and our district, however, this is not the only assessment we use for Paris ISD students. We have higher standards. Your child’s achievements must be measured by a multitude of accomplishments throughout the year. Your individual child’s academic growth is what is important, and we assess your child’s growth from the start of the school year to the end of the school year. In contrast, your child is assessed by the state with a criterion-referenced test (STAAR), which assesses how your child performs on a single day and uses those results to compare your child to a predetermined standard set by bureaucrats in Austin and a testing company headquartered in London, England. We all know students do not master skills at the same rate; each individual child has their strengths and weaknesses. This single test cannot measure what we know about your child. Many of our students play sports, play musical instruments, dance, sing, speak multiple languages, write and perform poetry or songs, and create amazing works of art. 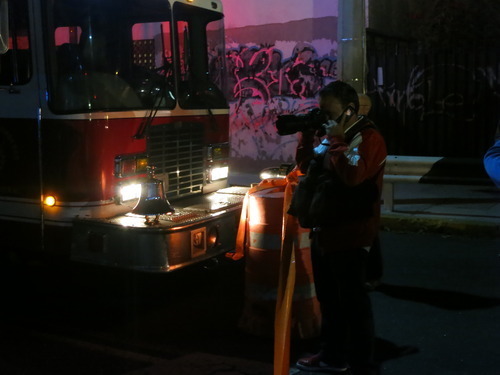 We have students working multiple jobs at night to help support their family. Many of our students are the main caregivers for younger siblings late into the evening hours. Our classrooms are reflective of a multi-faceted student involved in a wide variety of activities, both academic and extra-curricular. It is not just drill and kill for one test. Although the data from this assessment will help us know when to offer enrichment or intervention, we will use the state assessment for the purpose the original assessment system was created–a diagnostic tool for identifying areas of concern as well as strengths. Individual student data will be aligned with local assessment data to develop educational plans that ensure continued progress for our students. Your child’s growth and love of learning are our main goals at PISD. Unfortunately, bureaucrats in Washington, D.C. and Austin have designed a one-size-fits-all assessment system that doesn’t necessarily reflect your individual child’s growth and achievements. Our students, not the state assessment, will be our main focus and top priority. Our instructional goals are to prepare each child to be college and/or career ready for the 21st Century. So, yes, we live in a time when standardized test results are a reality. However, let’s not let the STAAR test overshadow what is truly important–each individual child. Let us not forget to celebrate the vast and numerous accomplishments and successes the students of PISD have achieved this school year. It has been a great one! Dissing Pearson for having its corporate offices in London seems like a bit of a cheap shot. Multinational companies are a reality of 2014 life. If they do their jobs well, they do their jobs well. If not, the flag they fly at the company HQ doesn’t matter. Chicago teachers say they believe their boycott was the right thing to do—but they faced a significant backlash for their actions. In school years past, the advent of spring has meant that it’s time for Chicago elementary school students to sit through two weeks of state-mandated standardized testing. But this March, something different happened: Thanks to the efforts of a group of pro-public education, anti-testing activists, a boycott of the Illinois Standards Achievement Test (ISAT) took hold across the city. More Than a Score, a coalition of parents, students and teachers organizing against testing, has long urged parents to take advantage of their rights to opt children out of unnecessary standardized tests. The group says that by the time testing day rolled around this year, parents in more than 60 schools sent in letters withdrawing their children from participation in the exam. Their reasons? The numerous tests cause undue stress on students and are an inaccurate and unfair form of evaluation. This is typical of the mounting opposition to the explosion over the past decade of what’s known as “high-stakes testing”— tests that can determine such important decisions as whether a student will pass to the next grade. But what made national headlines was the refusal of teachers at two Chicago public schools to administer the ISAT. They stood firm in spite of threats from administrators that they could lose their licenses or face other disciplinary action. Along with their desire to support parents and students opting out, the teachers had their own reasons to oppose the tests. A central grievance during the teachers strike in September 2012 was the use of test scores to evaluate teachers, regardless of whether their students faced external obstacles to scoring well (such as language barriers). Educators were also adamant that the ISAT took away valuable teaching time. Scholastic Academy voted unanimously not to administer the ISAT. By testing week, a majority of teachers at another school, Thomas Drummond Elementary, had also voted against administering the test. With their refusal, Chicago teachers followed in the footsteps of their counterparts at Seattle’s Garfield High School, who led a first-of-it-kind boycott of the Measures of Academic Progress (MAP) exam last year. These actions have lent momentum to a nationwide wave of opposition to standardized testing. On April 12, for example, a majority of teachers in the Colorado Education Association union voted during their annual meeting in favor of a moratorium on high-stakes testing. Anger against testing has also been bubbling over in New York State, where anti-testing groups say that more than 34,000 students have thus far opted out of taking this year’s English Language Arts assessment (ELA) test, given to grades three through eight under the new Common Core Learning Standards. 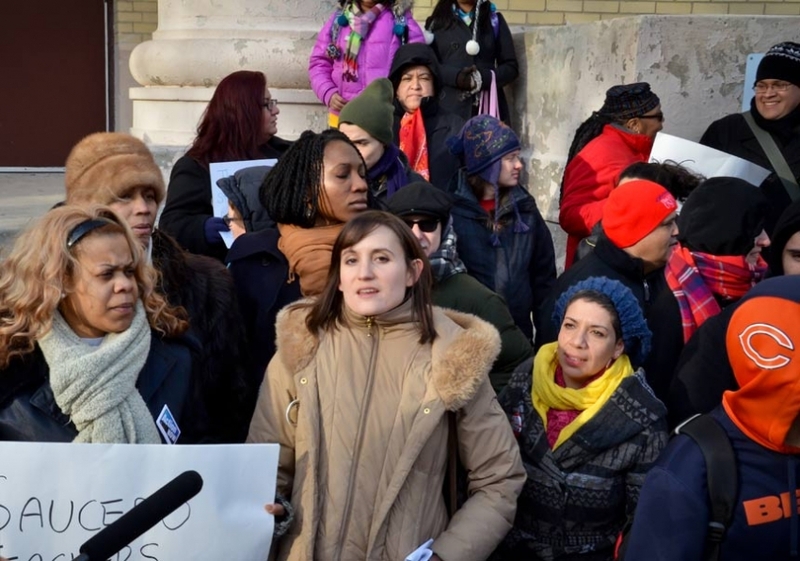 On April 4, hundreds of parents, students and teachers marched in Brooklyn against the ELA. Indeed, in Florida, often considered a model for other states’ testing regimes, school districts are required to administer as many as 62 tests per year to their students. The growth of testing impacts younger students as well—kindergarteners in some states have been expected to take multiple-choice tests, though teachers contend they barely have the coordination skills to hold a pencil. Testing is no longer used simply to evaluate students either: The education reform movement that has swept through America’s school system emphasizes the validity of testing to assess teachers, schools and even districts. High test scores, critics say, correlate more closely with higher levels of school resources than any other factor, but low scores nevertheless come with a bevy of consequences, often impacting students of color attending cash-strapped public schools most acutely. In Chicago, New York and New Orleans, test scores have been used to justify school closures and turnarounds. And because school funding often depends in part on test results, particularly under No Child Left Behind rules, it can result in further under-resourced schools or school districts. Chicago teachers say they believe their boycott was the right thing to do—but they faced a significant backlash for their actions. The school district responded with a flurry of emails and robocalls to parents, listing the virtues of the ISAT. Saucedo teachers also received emails from their principal and Chicago Public Schools CEO Barbara Byrd-Bennett warning they would be “disciplined” and could have their teaching licenses revoked. Whether Chicago teachers will actually face reprisals for their actions is still uncertain. CPS officials have said they are investigating “teacher misconduct” in the lead-up to the ISAT boycott as well as on the testing days, and have interviewed teachers at both Saucedo and Drummond. Parents from Drummond had their own allegations of misconduct against CPS lawyers, who they say interviewed students without parental approval. CPS told In These Times they were not able to give any details of the ongoing investigation. Many eyes nationwide will be watching to see how the Chicago teachers weather the blowback, as the battle over testing appears poised to escalate. The nationwide transition to Common Core State Standards, a set of new education standards pioneered by the Obama administration and expected to be in place in most states at the start of the next school year, is likely to further fuel the testing explosion, says PURE’s Woestehoff. Common Core will impose new assessments with higher standards, increasing pressure on students and teachers, she says. While it may look like a big tent is forming against Common Core—conservative talk shows hosts such as Glenn Beck, along with legislators in red states have pushed back against the educational benchmarks set rigidly at the federal level—Woestehoff sees Chicago’s opposition movement as not primarily targeting Common Core, but rather the overall testing regime. Sarah Chambers, a boycotting teacher and a leader in the Chicago Teachers Union, is confident that the testing refusal movement is “gaining speed” nationwide. “I fully believe in the upcoming years there are going to be massive boycotts of testing around the country,” she says. From Gov. Rick Scott to former Gov. Jeb Bush, supporters of Florida's school accountability system that relies heavily on standardized testing should answer a few more questions. If the state really is a national model, why isn't it graduating students who outperform their national peers? And why are Florida's high school seniors only outperforming West Virginia among 13 states with test scores reported? New scores for 12th-graders on the National Assessment of Educational Progress — often called the "nation's report card" — suggest that the state's accountability system is not as successful in producing positive results for students as its supporters suggest. In 2013, Florida's high school seniors performed worse than the national average in math and were statistically even with the nation in reading. These students have spent their entire academic careers under Florida's onerous FCAT and school grading system. And that's the result, despite the selective highlights promoted by the system's supporters. As the students prepare to graduate high school, they are average at best compared with their peers or worse. That hardly represents a proud accomplishment, and it should provoke more discussion about whether Florida really is on the right path. Florida is one of 11 states that has 12th grade results for both 2009 and 2013. Florida trailed the nation in both subjects in 2009 as it did again in 2013, though reading was a statistical tie. Two states joined the pilot program last year. Of those 13, Florida clearly outclassed only one in reading, West Virginia. It surpassed two in math, West Virginia and Tennessee. Forty percent of Florida's 12th-graders failed to demonstrate even basic math skills. The achievement gap for Florida's 12th-graders remains a chasm. Sixty percent of Florida's African-American seniors were below basic in math skills, as were 49 percent of Hispanic students. Black students' average scores were 24 points lower than white students', a gap unchanged from 2009 through last year. Over time, fourth-grade reading skills are the only clear bright spot in Florida's NAEP results. Florida's fourth-graders trailed their national peers through the 1990s, caught up with them 12 years ago and have been ahead of the nation since 2005. Elsewhere, results for Florida students are mixed. For example, the state's eighth- and 12th-graders have been below the national average in math on every single test; for eighth grade, that dates back to 1990. The state's success in fourth-grade reading is a significant accomplishment, but it means little if it doesn't translate to higher achievement by the time those students leave high school. The next time supporters of Florida's standardized testing and accountability system sing its praises, ask them why the state's high school seniors don't match up well against their peers from other states. In 2013, Florida 12th-graders scored below the national average, and only 60 percent tested at or above basic levels. In 2009, when they were in eighth grade, they scored below the national average, and 70 percent tested at or above basic levels. In 2005, when they were in fourth grade, they scored above the national average, and 82 percent tested at or above basic levels. In 2013, Florida 12th-graders were roughly at the national average, and 72 percent tested at or above basic levels. In 2009, when they were in eighth grade, they were roughly at the national average, and 76 percent tested at or above basic levels. In 2005, when they were in fourth grade, they scored above the national average, and 65 percent tested at or above basic levels. Four years ago, I opposed reparations. Here's the story of how my thinking has evolved since then. The best thing about writing a blog is the presence of a live and dynamic journal of one's own thinking. Some portion of the reporter's notebook is out there for you to scrutinize and think about as the longer article develops. For me, this current article—an argument in support of reparations—began four years agowhen I opposed reparations. A lot has happened since then. I've read a lot, talked to a lot of people, and spent a lot of time in Chicago where the history, somehow, feels especially present. I think I owe you a walk-through on how my thinking evolved. As a professor myself, I do think that there are times when technology is not simply a distraction, but a potential encumbrance for learning at a deep level, particularly with difficult topics related to race, class, gender, difference, white, middle class privilege and the like. Accordingly, I've very much seen computers used as a literal crutch for not engaging critical subject matter deeply. Instead of joining the discussion, students "multi-task," answering emails and getting their other work done instead of personally engaging the hard questions. Admittedly, however, not all subjects demand equally high levels of reflection even if all college classrooms require some. All told, I think that Dr. Scott has a good point about how learning can get short shrift in certain classroom contexts. Every year about this time I start revising my syllabus for the next year. Next year I will include a provision that keeps technology out of my classrooms. As a teacher I oppose the infiltration of screens into our classrooms, particularly liberal arts’ classrooms. I recognize the need for computers to do research and write reports, but I fail to grasp their relevance for teaching a Shakespearean sonnet, the structure of our federal government, or when the War of 1812 took place. Isaac Newton didn’t even have a calculator much less cloud computing when he invented calculus; surely our students can learn his invention without tablets and Power Point. Screens impede learning. The more technologically engaged students are in the classroom the worse is their performance in reading, writing, history, and arithmetic. Students whose primary goal is to learn a trade should be given the opportunity to do so. Whether it’s welding, cleaning teeth or trading stocks; students who seek to learn a skill should be given the opportunity to do so and they should be trained on the machines and tools they will encounter in the field so they can be competitive in the job market. But this doesn’t mean a literature class has to be taught with every student on a laptop. There’s nothing wrong with books made of paper or students who take notes in a—gasp—notebook with a—gasp—pen! In fact, doing so proves to be less of a distraction and provides tactile and auditory reinforcement of the lesson in a way that computing does not. When using traditional note taking skills students are forced to engage the information more as it is being transmitted to them than when they merely point, click, drag and type. Students who read a text on-line do worse on an exam than those who read the same text through a traditional medium. Tech-based classrooms are classrooms with more distractions as it is nearly impossible to keep students from moving between what they are supposed to be doing and outside activities. Research has shown that some of these obstacles to learning can be overcome with the right amount of training. But these same studies also show that the best such training can do is raise technology based education to the level of traditional delivery methods which then begs the question: why go through all the time and expense to get right back to where you started? Technology in classrooms, and as central components of the campus experience, hinders the learning process by transforming its very nature. Learning requires deep contemplation with a long period of gestation. Technology puts a premium on speed and completion. Tocqueville wrote of America, “nothing is more necessary to the cultivation of the advanced sciences or of the elevated portion of the sciences than meditation” but importing technology—with its emphasis on speed and instrumentalism—into core competency classrooms we run the risk persuading students that deep meditation and careful consideration is unnecessary for mastering the humanities and sciences. The proliferation of technology in the classroom is reflective of an educational enterprise that has embraced the commercial ethos thus transforming education into a service industry where students are customers and teachers are service providers. The effects on education are deleterious in that we seek to provide students with what they want rather than offering them guidance as to what they need for fear of losing them to a competitor. Within this ethos there is no incentive to challenge students but instead only offer them courses with enticing names and rooms filled with the latest gadgetry. Colleges and K-12 institutions market their technology advancement as a reason why their institution is good instead of marketing the quality of education. From a marketing standpoint taking pretty pictures of students working on computers, or touting how many computers there are on campus, is better than talking about academic rigor and having photos of students pouring of a dusty copy of Plato’s Republic. By transforming students into customers we run the risk of violating the necessary connection that forms between teacher and student and transform the mission of education from one of a life of the mind into a life dedicated to the bottom line. In a commercialized educational enterprise we treat students and teachers as though their full value can be boiled down to a numerical score. “By raising and teaching the young as if they do not have souls, we’re producing souls that are flat or one-dimensional.” Just like the screens we are teaching them to hold so dear. One of the saddest stories on education that I've read in a long time. To think that schools while pupils are in them are deliberate targets by extremists is enraging. You can download the Education Under Attack 2014 report here. There have been almost 10,000 violent attacks on places of education in recent years, according to the biggest ever international study of how schools and universities are targeted by acts of aggression. These included the murder of staff and students and the destruction of buildings in bomb and arson attacks, in countries including Pakistan, Nigeria, Colombia, Somalia and Syria. This stark account of violence against education between 2009 and 2013 has been published by a coalition of human rights groups, aid organisations and United Nations agencies. The Education Under Attack report, published in New York on Thursday, reveals the extent to which education has been subjected to deliberate acts of violence. These are not cases of schools and their staff "just caught in the crossfire", says Diya Nijhowne, director of the Global Coalition to Protect Education from Attack. "They are bombed, burned, shot, threatened, and abducted precisely because of their connection to education." Thousands of death threats There were 9,600 attacks worldwide, with incidents recorded in 70 countries, with the worst problems in Africa and parts of Asia and South America. There was a pattern of deliberate attacks in 30 of these countries, where such violence was used as a "tactic of war", said Ms Nijhowne. These figures do not include the type of school shootings carried out against pupils and staff at Sandy Hook in the US in 2012. The country with the greatest number of attacks was Pakistan, with the most common assault being the blowing up of school buildings. Colombia was the most dangerous place to be a teacher, with 140 murders and thousands of death threats. For school pupils, Somalia was the country where children were most likely to be pressed into becoming soldiers. Syria's conflict has seen deadly attacks at universities in Aleppo and Damascus and there were high levels of attacks on students in Yemen and Sudan. 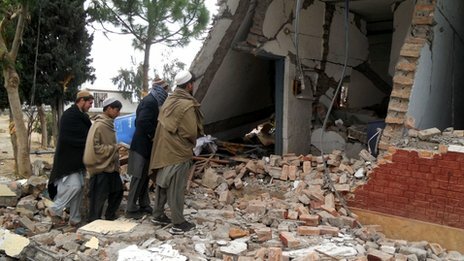 The perpetrators have included government forces, armed insurgents, terror groups and criminal gangs. They have committed murders, abductions and intimidation. Controlling culture The shooting of Pakistani schoolgirl Malala Yousafzai by Taliban opponents of girls' education in 2012 focused global attention on such attacks on education. But this study shows that this was far from an isolated case and that staff and pupils have been singled out for deliberate violence in many different conflicts and ideological battlegrounds. 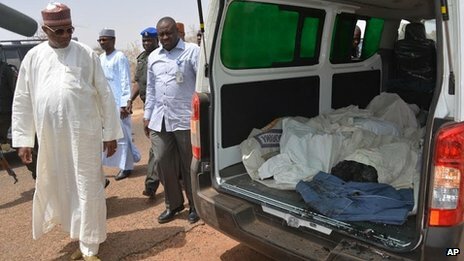 This week in north-east Nigeria at least 29 teenage boys were killed in a massacre at a boarding school. Boko Haram, a militant Islamist group opposed to western education, is suspected of carrying out the attack. The Education Under Attack report says that 30 teachers were shot dead in Nigeria last year, including some in front of a class. Attacks on education can be a proxy for other conflicts, such as trying to undermine a government symbol or trying to promote a political, religious or ideological message or to terrorise another community. 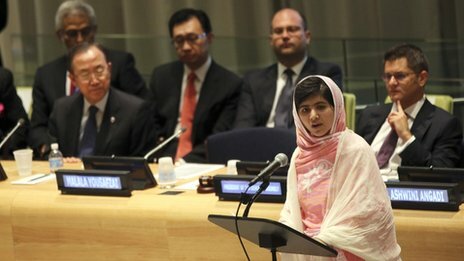 In Afghanistan and Pakistan there have been violent attacks against the education of women. Or else targeting students can be a way of pursuing a sectarian dispute. In Burma, also known as Myanmar, last year, a Buddhist nationalist mob set upon boys from a Muslim school, hacking dozens to death. 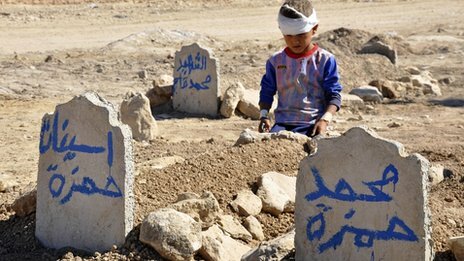 In 2010, in Iraq an escorted convoy of Christian students travelling to university were the victims of a car bomb attack. Destroying skills There can also be more specific campaigns. In Mexico there were six bomb attacks on universities by a group opposed to nanotechnology research. Teachers in Colombia have faced violence from armed groups, including rival paramilitary forces and criminal gangs. As community leaders they are targeted by groups wanting to intimidate local people or to recruit school pupils into armed gangs. The impact of violence can reach beyond the individual victims. Terrorising academics and students in university can destroy the research capacity of an economy, warns the report, and trigger the departure of highly-skilled young people. Intellectual curiosity and free speech, necessary in academic life, can be undermined by the threat of violence, with fear prompting "self-censorship" and a brain drain to other safer countries. Occupying buildings There are also concerns about armed groups occupying educational premises, using them as barracks or training bases or sometimes as detention centres or even places of torture. In 24 of the 30 countries worst affected by attacks on education, there were cases of schools being taken over by military forces. This also puts buildings at risk from attacks from opposing forces, says the report's lead researcher, Brendan O'Malley. In Somalia, the report says, schools have been used as firing positions and faced incoming rockets, while the classrooms were still being used by pupils. The study calls for the creation of "safe zones" around schools and wants combatants to recognise the need to protect places of education. Mr O'Malley says a positive step would be a common agreement "not to use schools for military purposes". There are also calls for a clearer path for investigating and prosecuting the perpetrators of acts of violence against schools and their staff and pupils. As well as the loss of life, violent conflict is one of the biggest causes of a loss of education. 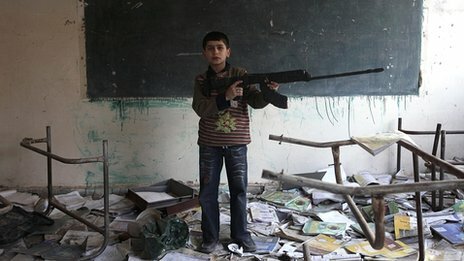 About half of the 57 million children without access to any school place live in areas disrupted by war and violence. "It's not just the killings that spread fear and blight lives. The relentless destruction of schools in some areas of conflict is depriving whole cohorts of children of an education," says Mr O'Malley. "There is a knock-on effect on social and economic development in places that can least afford to be held back. "Where the government lacks the capacity or will to repair damaged schools, the effects can be felt for years after the attacks have happened." This video from the futureofhighered.org is worth viewing. This future of massive online courses that is getting touted by many companies with high-sounding rhetoric as making higher education a human right is questioned on the basis of unconscionably high dropout rates and the millions that these companies are making, profiting on the lost investments made by consumers whose dreams get exploited by predatory companies. 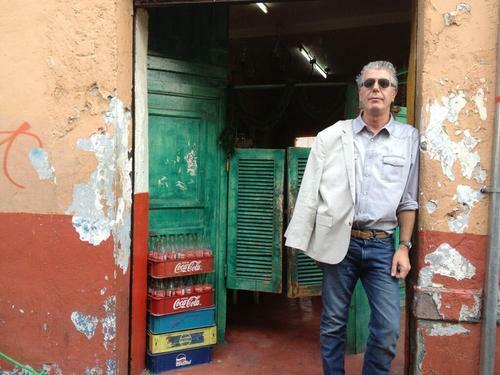 I couldn't agree more with Bourdain's assessment of Mexico and our relationship here in the U.S. to it. Very vexed and problematic, to say the least. Happy to see Bourdain weigh in on this question of our relationship to Mexico in a candid way. Mexico. Our brother from another mother. A country, with whom, like it or not, we are inexorably, deeply involved, in a close but often uncomfortable embrace. Look at it. It’s beautiful. It has some of the most ravishingly beautiful beaches on earth. Mountains, desert, jungle. Beautiful colonial architecture, a tragic, elegant, violent, ludicrous, heroic, lamentable, heartbreaking history. Mexican wine country rivals Tuscany for gorgeousness. Its archeological sites—the remnants of great empires, unrivaled anywhere. And as much as we think we know and love it, we have barely scratched the surface of what Mexican food really is. It is NOT melted cheese over a tortilla chip. It is not simple, or easy. It is not simply ‘bro food’ halftime. It is in fact, old— older even than the great cuisines of Europe and often deeply complex, refined, subtle, and sophisticated. A true mole sauce, for instance, can take DAYS to make, a balance of freshly (always fresh) ingredients, painstakingly prepared by hand. It could be, should be, one of the most exciting cuisines on the planet. If we paid attention. 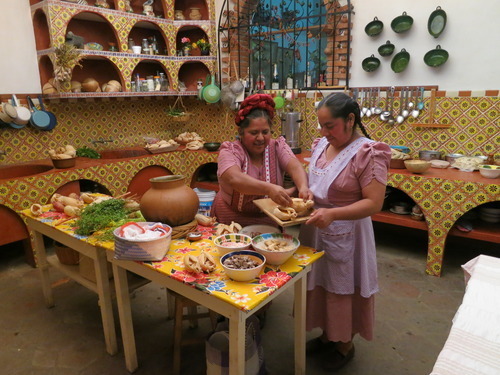 The old school cooks of Oaxaca make some of the more difficult to make and nuanced sauces in gastronomy. And some of the new generation, many of whom have trained in the kitchens of America and Europe have returned home to take Mexican food to new and thrilling new heights. This is a very important read that focuses on low-income students attending the University of Texas at Austin that otherwise have a less than a 40 percent chance of graduation on time. If you compare college students with the same standardized-test scores who come from different family backgrounds, you find that their educational outcomes reflect their parents’ income, not their test scores. Take students like Vanessa, who do moderately well on standardized tests — scoring between 1,000 and 1,200 out of 1,600 on the SAT. If those students come from families in the top-income quartile, they have a 2 in 3 chance of graduating with a four-year degree. If they come from families in the bottom quartile, they have just a 1 in 6 chance of making it to graduation. The good news for Vanessa is that she had improved her odds by enrolling in a highly selective college. Many low-income students “undermatch,” meaning that they don’t attend — or even apply to — the most selective college that would accept them. It may seem counterintuitive, but the more selective the college you choose, the higher your likelihood of graduating. Besides a great leader like UT chemistry professor David Laude, what works? ...small classes, peer mentoring, extra tutoring help, engaged faculty advisers and community-building exercises. Laude’s most intensive and innovative intervention, though, is the University Leadership Network, a new scholarship program that aims to develop not academic skills but leadership skills. I am curious what others think. My sense is that these researchers and their research-based interventions provide, if you will, a “backdoor,” sociocultural and sociopolitical perspective that addresses historic issues of neglect, exclusion, and stigma that attach to the experiences of students of color, generally. And this is why what they are doing appears to be working to improve rates of course completion and ultimately, graduation. So while social justice motivates this research (similar to sociocultural and sociopolitical perspectives), the approach appears to be agnostic on whether students actually learn about this history of neglect, exclusion, and stigma. In short, they are mainstreamed, or to use my colleague, Dr. Luis Urrieta’s term, “whitestreamed.” And this agnosticism likely means that many of our youth still graduate knowing precious little of this history or their responsibility to it. I am a proud affiliate of the Center for Mexican American Studies at UT http://www.utexas.edu/cola/centers/cmas/, soon to become the Department of Mexican American and Latina/o Studies. I have always been impressed with the undergraduate students that come our way—not only because of the kinds of skills and motivation that they bring and get to cultivate at UT, but also because of their social and political consciousness that frankly, our courses, conferences, and mentorship opportunities promote. I am sure confident that my colleagues in African and African Diaspora Studies <http://www.utexas.edu/cola/depts/aads> , Native American and Indigenous Studies http://www.utexas.edu/cola/inits/nais/, Asian American Studies http://www.utexas.edu/cola/centers/aas/, Center for Women’s and Gender Studies http://www.utexas.edu/cola/centers/cwgs/, Gender and Sexuality Studies http://ddce.utexas.edu/genderandsexuality/, and Latin American Studies http://www.utexas.edu/cola/insts/llilas/about/ can attest to the same. Hence, the continuing importance of area studies and their longstanding contributions to the very outcomes that are lauded by Paul Tough, but which extend even further into civic life through the equally research-based, progressive views and politics and personal sense of efficacy that they engender. This educational opportunity that we provide similarly anchors our students in a positive, affirming sense of themselves as individuals, and as members of communities that have struggled historically for inclusion into places like UT and higher education, generally. The very admissions framework that we have in place was not “given" to us. It is still a contentious battleground over which we have struggled—and not without personal cost for those of us that have been involved. Though focused primarily on college students, this research nevertheless has broad implications for students in K-12, community college, and beyond. There are thousands of students like Vanessa at the University of Texas, and millions like her throughout the country — high-achieving students from low-income families who want desperately to earn a four-year degree but who run into trouble along the way. Many are derailed before they ever set foot on a campus, tripped up by complicated financial-aid forms or held back by the powerful tug of family obligations. Some don’t know how to choose the right college, so they drift into a mediocre school that produces more dropouts than graduates. Many are overwhelmed by expenses or take on too many loans. And some do what Vanessa was on the verge of doing: They get to a good college and encounter what should be a minor obstacle, and they freak out. They don’t want to ask for help, or they don’t know how. Things spiral, and before they know it, they’re back at home, resentful, demoralized and in debt. When you read about those gaps, you might assume that they mostly have to do with ability. 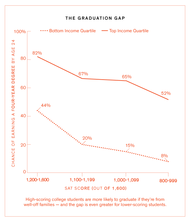 Rich kids do better on the SAT, so of course they do better in college. But ability turns out to be a relatively minor factor behind this divide. If you compare college students with the same standardized-test scores who come from different family backgrounds, you find that their educational outcomes reflect their parents’ income, not their test scores. Take students like Vanessa, who do moderately well on standardized tests — scoring between 1,000 and 1,200 out of 1,600 on the SAT. If those students come from families in the top-income quartile, they have a 2 in 3 chance of graduating with a four-year degree. If they come from families in the bottom quartile, they have just a 1 in 6 chance of making it to graduation. The good news for Vanessa is that she had improved her odds by enrolling in a highly selective college. Many low-income students “undermatch,” meaning that they don’t attend — or even apply to — the most selective college that would accept them. It may seem counterintuitive, but the more selective the college you choose, the higher your likelihood of graduating. But even among the highly educated students of U.T., parental income and education play a huge role in determining who will graduate on time. An internal U.T. report published in 2012 showed that only 39 percent of first-generation students (meaning students whose parents weren’t college graduates) graduated in four years, compared with 60 percent whose parents both graduated from college. So Vanessa was caught in something of a paradox. According to her academic record, she had all the ability she needed to succeed at an elite college; according to the demographic statistics, she was at serious risk of failing. Getting Results: David Yeager (top right) teaching graduate students at the University of Texas at Austin about mind-set intervention. But why? What was standing in her way? This year, for the first time, the University of Texas is trying in a serious way to answer that question. The school’s administrators are addressing head-on the problems faced by students like Vanessa. U.T.’s efforts are based on a novel and controversial premise: If you want to help low-income students succeed, it’s not enough to deal with their academic and financial obstacles. You also need to address their doubts and misconceptions and fears. To solve the problem of college completion, you first need to get inside the mind of a college student. To get a better sense of who these struggling students were, Laude started pulling records from the provost’s office. It wasn’t hard to discern a pattern. The students who were failing were mostly from low-income families. Many of them fit into certain ethnic, racial and geographic profiles: They were white kids from rural West Texas, say, or Latinos from the Rio Grande Valley or African-Americans from Dallas or Houston. And almost all of them had low SAT scores — low for U.T., at least — often below 1,000 on a 1,600-point scale. Vanessa Brewer (in red shoes) in her chemistry class at the University of Texas. Two years ago, Laude was promoted to his current position — senior vice provost for enrollment and graduation management. His official mission now is to improve U.T.’s four-year graduation rate, which is currently languishing at around 52 percent, to 70 percent — closer to the rates at U.T.’s state-university peers in Ann Arbor, Chapel Hill and Charlottesville, Va. — and to achieve this leap by 2017. The best way to do that, Laude decided, was to take the principles and practices that he introduced 15 years earlier with TIP and bring them to the whole Austin campus. At high schools in the wealthier suburbs of Dallas, the top 7 percent of students look a lot like the students anywhere who go on to attend elite colleges. They are mostly well off and mostly white, and most of them rack up high SAT scores. What sets U.T. apart from other selective colleges is that the school also admits the top 7 percent of students from high schools in Brownsville and the Third Ward of Houston, who fit a very different demographic and have, on average, much lower SAT scores. The good news about these kids, from U.T.’s point of view, is that they are very good students regardless of their test scores. Even if their high schools weren’t as well funded or as academically demanding as schools in other parts of the state, they managed to figure out how to learn, how to study and how to overcome adversity. Laude’s experience teaching Chemistry 301 convinced him that they could succeed and even excel at the University of Texas. But when he looked at the campuswide data, it was clear that these were the students who weren’t succeeding. Before he could figure out how to help those disadvantaged students, though, Laude first had to find out exactly who they were. This was relatively simple to determine in a single chemistry class, but with more than 7,000 students arriving on campus each year, finding the most vulnerable would be a challenge. Laude turned to a newly formed data team in the provost’s office called Institutional Research. Like every big university, U.T. had long had an in-house group of researchers who compiled statistics and issued government-mandated reports, but with Institutional Research, the school had created a data unit for the Nate Silver era, young statisticians and programmers who focused on predictive analytics, sifting through decades’ worth of student data and looking for patterns that could guide the administration’s decision-making on everything from faculty career paths to financial aid. Laude wanted something that would help him predict, for any given incoming freshman, how likely he or she would be to graduate in four years. The Institutional Research team analyzed the performance of tens of thousands of recent U.T. students, and from that analysis they produced a tool they called the Dashboard — an algorithm, in spreadsheet form, that would consider 14 variables, from an incoming student’s family income to his SAT score to his class rank to his parents’ educational background, and then immediately spit out a probability, to the second decimal place, of how likely he was to graduate in four years. Laude’s most intensive and innovative intervention, though, is the University Leadership Network, a new scholarship program that aims to develop not academic skills but leadership skills. In order to be selected for U.L.N., incoming freshmen must not only fall below the 40-percent cutoff on the Dashboard; they must also have what the financial-aid office calls unmet financial need. In practice, this means that students in U.L.N. are almost all from families with incomes below the national median. (When you enter a family income at that level into the Dashboard, the predicted on-time graduation rate falls even further; for U.L.N. students, Laude estimates, it is more like 20 percent than 40 percent.) The 500 freshmen in U.L.N. perform community service, take part in discussion groups and attend weekly lectures on topics like time management and team building. The lectures have a grown-up, formal feel; students are required to wear business attire. In later years, U.L.N. students will serve in internships on campus and move into leadership positions as mentors or residence-hall advisers or student government officials. In exchange for all this, they receive a $5,000 scholarship every year, paid in monthly increments. Though Laude is a chemist by training, he spends much of his time thinking like a psychologist, pondering what kind of messages or environmental cues might affect the decisions that the students in his programs make. He’s the first to admit that he is an amateur psychologist at best. But he has found an ally and a kindred spirit in a psychological researcher at U.T. named David Yeager, a 32-year-old assistant professor who is emerging as one of the world’s leading experts on the psychology of education. In his research, Yeager is trying to answer the question that Laude wrestles with every day: How, precisely, do you motivate students to take the steps they need to take in order to succeed? Before he arrived at U.T. in the winter of 2012, Yeager worked as a graduate student in the psychology department at Stanford, during an era when that department had become a hotbed of new thinking on the psychology of education. Leading researchers like Carol Dweck, Claude Steele and Hazel Markus were using experimental methods to delve into the experience of students from early childhood all the way through college. To the extent that the Stanford researchers shared a unifying vision, it was the belief that students were often blocked from living up to their potential by the presence of certain fears and anxieties and doubts about their ability. These feelings were especially virulent at moments of educational transition — like the freshman year of high school or the freshman year of college. And they seemed to be particularly debilitating among members of groups that felt themselves to be under some special threat or scrutiny: women in engineering programs, first-generation college students, African-Americans in the Ivy League. When Yeager arrived at Stanford in 2006, many of the researchers there had begun to move beyond trying to understand this phenomenon to trying to counteract it. In a series of experiments, they found that certain targeted messages, delivered to students in the right way at the right time, seemed to overcome the doubts about belonging and ability that were undermining the students’ academic potential. Next, Yeager did an experiment with 600 students just entering ninth grade at three high schools in Northern California. The intervention was 25 minutes long; students sat at a terminal in the school computer lab and read scientific articles and testimonials from older students with another simple message: People change. If someone is being mean to you or excluding you, the essays explained, it was most likely a temporary thing; it wasn’t because of any permanent trait in him or you. Yeager chose ninth grade because it is well known as a particularly bad time for the onset of depression — generally, depression rates double over the transition to high school. Indeed, among the control group in Yeager’s experiment, symptoms of depression rose by 39 percent during that school year. Among the group who had received the message that people change, though, there was no significant increase in depressive symptoms. The intervention didn’t cure anyone’s depression, in other words, but it did stop the appearance of depressive symptoms during a traditionally depressive period. And it did so in just 25 minutes of treatment. After the depression study, Yeager, Walton and two other researchers did an experiment with community-college students who were enrolled in remedial or “developmental” math classes. Education advocates have identified remedial math in community college as a particularly devastating obstacle to the college hopes of many students, especially low-income students, who disproportionately attend community college. The statistics are daunting: About two-thirds of all community-college students are placed into one or more remedial math classes, and unless they pass those classes, they can’t graduate. 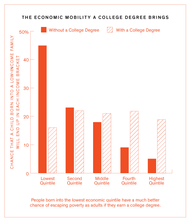 More than two-thirds of them don’t pass; instead, they often drop out of college altogether. Clearly, part of the developmental-math crisis has to do with the fact that many students aren’t receiving a good-enough math education in middle or high school and are graduating from high school underprepared for college math. But Yeager and Walton and a growing number of other researchers believe that another significant part of the problem is psychological. They echo David Laude’s intuition from the early days of TIP: When you send college students the message that they’re not smart enough to be in college — and it’s hard not to get that message when you’re placed into a remedial math class as soon as you arrive on campus — those students internalize that idea about themselves. In the experiment, 288 community-college students enrolled in developmental math were randomly assigned, at the beginning of the semester, to read one of two articles. The control group read a generic article about the brain. The treatment group read an article that laid out the scientific evidence against the entity theory of intelligence. “When people learn and practice new ways of doing algebra or statistics,” the article explained, “it can grow their brains — even if they haven’t done well in math in the past.” After reading the article, the students wrote a mentoring letter to future students explaining its key points. The whole exercise took 30 minutes, and there was no follow-up of any kind. But at the end of the semester, 20 percent of the students in the control group had dropped out of developmental math, compared with just 9 percent of the treatment group. In other words, a half-hour online intervention, done at almost no cost, had apparently cut the community-college math dropout rate by more than half. Soon after Yeager arrived at the University of Texas, in the winter of 2012, he got an email from a vice provost at the university named Gretchen Ritter, who had heard about his work and wanted to learn more. At Ritter’s invitation, Yeager gave a series of presentations to various groups of administrators at the university; each time, he mentioned that he and Walton were beginning to test whether interventions that addressed students’ anxieties about ability and belonging could improve the transition to college, especially for first-generation students. Ritter asked Yeager if the approach might work in Austin. Could he create an intervention not for just a few hundred students, but for every incoming U.T. freshman? In theory, yes, Yeager told her. But at that scale, it would need to be done online. And if he did it, he said, he would want to do it as a randomized controlled experiment, so he and Walton could collect valuable new data on what worked. In April 2012, Ritter asked Yeager to test his intervention on the more than 8,000 teenagers who made up the newly admitted U.T. class of 2016. It would be one of the largest randomized experiments ever undertaken by social or developmental psychologists. And it would need to be ready to go in three weeks. Yeager immediately began holding focus groups and one-on-one discussions with current U.T. students, trying to get a clearer understanding of which messages would work best at U.T. It’s an important point to remember about these interventions, and one Yeager often emphasizes: Even though the basic messages about belonging and ability recur from one intervention to the next, he and Walton believe that the language of the message needs to be targeted to the particular audience for each intervention. The anxieties that a high-achieving African-American freshman at an Ivy League college might experience are distinct from the anxieties experienced by a community-college student who was just placed into remedial math. Students were randomly sorted into four categories. A “belonging” treatment group read messages from current students explaining that they felt alone and excluded when they arrived on campus, but then realized that everyone felt that way and eventually began to feel at home. A “mind-set” treatment group read an article about the malleability of the brain and how practice makes it grow new connections, and then read messages from current students stating that when they arrived at U.T., they worried about not being smart enough, but then learned that when they studied they grew smarter. A combination treatment group received a hybrid of the belonging and mind-set presentations. And finally, a control group read fairly banal reflections from current students stating that they were surprised by Austin’s culture and weather when they first arrived, but eventually they got used to them. Students in each group were asked, after clicking through a series of a dozen or so web pages, to write their own reflections on what they’d read in order to help future students. The whole intervention took between 25 and 45 minutes for students to complete, and more than 90 percent of the incoming class completed it. Going in, Yeager thought of the 2012 experiment as a pilot — simply a way to test out the mechanics of a large-scale intervention. He didn’t have much confidence that it would produce significant results, so he was surprised when, at the end of the fall semester, he looked at the data regarding which students had successfully completed at least 12 credits. First-semester credit-completion has always been an early indicator of the gaps that appear later for U.T. students. Every year, only 81 or 82 percent of “disadvantaged” freshmen — meaning, in this study, those who are black, Latino or first-generation — complete those 12 credits by Christmas, compared with about 90 percent of more advantaged students. In January 2013, when Yeager analyzed the first-semester data, he saw the advantaged students’ results were exactly the same as they were every year. No matter which message they saw in the pre-orientation presentation, 90 percent of that group was on track. Similarly, the disadvantaged students in the control group, who saw the bland message about adjusting to Austin’s culture and weather, did the same as disadvantaged students usually did: 82 percent were on track. But the disadvantaged students who had experienced the belonging and mind-set messages did significantly better: 86 percent of them had completed 12 credits or more by Christmas. They had cut the gap between themselves and the advantaged students in half. A rise of four percentage points might not seem like much of a revolution. And Yeager and Walton are certainly not declaring victory yet. But if the effect of the intervention persists over the next three years (as it did in the elite-college study), it could mean hundreds of first-generation students graduating from U.T. in 2016 who otherwise wouldn’t have graduated on time, if ever. It would go a long way toward helping David Laude meet his goals. And all from a one-time intervention that took 45 minutes to complete. The U.T. administration was encouraged; beginning this month, the “U.T. Mindset” intervention will be part of the pre-orientation for all 7,200 members of the incoming class of 2018. When Yeager and Walton present their work to fellow researchers, the first reaction they often hear is that their results can’t possibly be true. Early on, they each had a scientific paper or grants rejected not because there were flaws in their data or their methodology, but simply because people didn’t believe that such powerful effects could come from such minimal interventions. Yeager admits that their data can seem unbelievable — they contradict many of our essential assumptions about how the human mind works. But he can articulate an entirely plausible explanation for what’s happening when students hear or read these messages, whether they’re at U.T. or in community college or in ninth grade. Every college freshman — rich or poor, white or minority, first-generation or legacy — experiences academic setbacks and awkward moments when they feel they don’t belong. But white students and wealthy students and students with college-graduate parents tend not to take those moments too seriously or too personally. Sure, they still feel bad when they fail a test or get in a fight with a roommate or are turned down for a date. But in general, they don’t interpret those setbacks as a sign that they don’t belong in college or that they’re not going to succeed there. It is only students facing the particular fears and anxieties and experiences of exclusion that come with being a minority — whether by race or by class — who are susceptible to this problem. Those students often misinterpret temporary setbacks as a permanent indication that they can’t succeed or don’t belong at U.T. For those students, the intervention can work as a kind of inoculation. And when, six months or two years later, the germs of self-doubt try to infect them, the lingering effect of the intervention allows them to shrug off those doubts exactly the way the advantaged students do. But as the spring semester progressed, things started to look up for Vanessa. She was taking the dreaded Chemistry 301, and while she found it a real challenge, she was also determined not to fall behind. She was enrolled in U.L.N. and in Discovery Scholars, another of the programs David Laude oversaw, and her advisers arranged for her to get free help at the campus tutoring center. She spent six or more hours there each week, going over chemistry problems, and by March she was getting A’s and B’s on every test. Gradually, Vanessa started to feel a greater sense of belonging. She told me about a day in February when she was hanging out in the Discovery Scholars office and suddenly had an impulse to “do a little networking.” She went up to the young woman working at the front desk, an African-American undergrad like Vanessa, and asked her on a whim if she knew any students in the nursing program. As it happened, the woman’s two best friends were in nursing, and they had just helped start an African-American nursing association at U.T. The messages about belonging and ability that Vanessa was hearing from her mentors and tutors weren’t the only things getting her through Chemistry 301, of course. But they were important in lots of subtle but meaningful ways, helping to steer her toward some seemingly small decisions that made a big difference in her prospects at U.T. Like walking into the tutoring center and asking for help. Or working up the nerve to ask a stranger if she knew any friendly nursing students. I spoke to dozens of freshmen during the months I spent reporting in Austin, most of them, like Vanessa, enrolled in U.L.N. or another of Laude’s programs. And while each student’s story was different, it was remarkable how often the narratives of their freshman years followed the same arc: arriving on campus feeling confident because of their success in high school, then being laid low by an early failure. One student told me he fell into a depression and couldn’t sleep. Another said she lost weight and broke out in a rash. But then, sometimes after weeks or months of feeling lost and unhappy, most of them found their way back to a deeper kind of confidence. Often the support necessary for that recovery came from a U.L.N. adviser or a TIP mentor; sometimes it came from a family member or a church community or a roommate. But one way or another, almost all of the students I spoke to were able to turn things around, often pulling themselves back from some very low places. My conversations with the U.L.N. students left me feeling optimistic about their chances. But they also served as a reminder of how easy it is for things to tip the other way — for those early doubts to metastasize into crippling anxieties. What Laude and Yeager are helping to demonstrate is that with the right support, both academic and psychological, these students can actually graduate at high rates from an elite university like the University of Texas. Which is exactly why the giant educational experiment now taking place there has meaning well beyond the Austin campus. Beyond the economic opportunities for the students themselves, there is the broader cost of letting so many promising students drop out, of losing so much valuable human capital. For almost all of the 20th century, the United States did a better job of producing college graduates than any other country. But over the past 20 years, we have fallen from the top of those international lists; the United States now ranks 12th in the world in the percentage of young people who have earned a college degree. During the same period, a second trend emerged: American higher education became more stratified; most well-off students now do very well in college, and most middle- and low-income students struggle to complete a degree. These two trends are clearly intertwined. And it is hard to imagine that the nation can regain its global competitiveness, or improve its level of economic mobility, without reversing them. To do so will take some sustained work, on a national level, on a number of fronts. But a big part of the solution lies at colleges like the University of Texas at Austin, selective but not superelite, that are able to perform, on a large scale, what used to be a central mission — arguably the central mission — of American universities: to take large numbers of highly motivated working-class teenagers and give them the tools they need to become successful professionals. The U.T. experiment reminds us that that process isn’t easy; it never has been. But it also reminds us that it is possible.